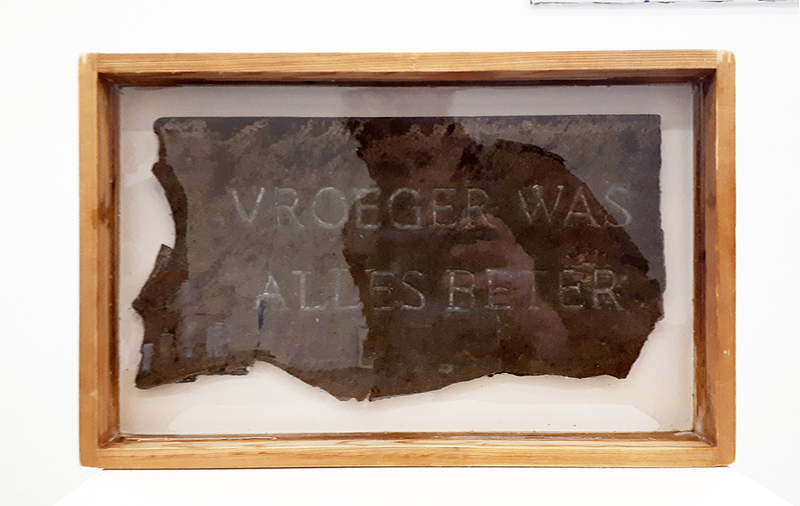 “Everything used to be better.” Text engraved in asbestos, done with great courage and risks. Sealed in epoxy. To disprove the statement often used by the elderly.